I would like to thank you for visiting my company's site. Treating each client as a unique individual with special needs is a standard that sets all of us at Santa Clara Realty apart from most other realtors. Our clients trust us to fight for what they want, and we do just that. If you'll let us, Santa Clara Realty can make your next real estate purchase smooth and easy. We hope to hear from you soon! Automatically receive personalized MLS listings by e-mail. Early each morning we search the local MLS and find the homes that match your criteria and notify you immediately with the latest listing information!! Simply choose Dream Home Finder and fill in the requested information. Or, search for yourself at [Search For Homes]. A 2002, 2003, 2004, 2005, 2006, 2008, 2009 Consumer Business Review says that "Santa Clara Realty is the best place to put your investment dollars. 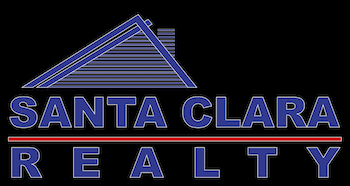 Whether you're looking for a building site, acreage, a new home, an older home, vacation or income property, Santa Clara Realty is the agency to see first!" At Santa Clara Realty, committed agents serve the real estate needs of the Silicon Valley. While our professional backgrounds vary, our passion for what we do doesn't. We give each client personalized service because we realize that needs and wants are unique to each individual. At Santa Clara Realty, we listen when you talk. Keeping up with the most current real estate software is crucial to give our clients maximum exposure at an optimal speed. Our office is fully equipped with an integrated network of computer and communication systems. We have instant access to all Multiple Listing Services, Public Record Searches, and other resources that our agents need in order to better serve you. After interviewing several potential realtors, we knew Tony was our guy to get it done. From the first moment we met Tony we were so impressed by the types of questions he asked and his knowledge about the area. Tony has been so supportive and went way above our expectations. He and his team were so personable and accessible. And for the biggest transaction you'll ever make, you're going to want Tony by your side. 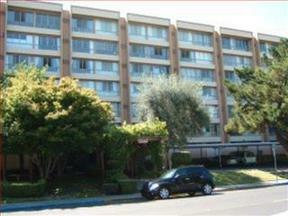 Aidan D.
My husband and I purchased our first home with Santa Clara Realty. We were nervous but the agents really took the stress load off. They were so great about explaining and taking us through the process. Overall great experience and wouldn't change anything. I'm really glad we chose them. Kellie and Rick E.